Showing posts by Roza Essaw. Obstetric fistula is a devastating condition often resulting from obstructed labor that can cause infections, incontinence, and even paralysis. The condition largely afflicts poor, rural, and illiterate women in developing countries who lack resources and access to emergency care and surgery, and sufferers often face an additional burden of social stigma. Poor infrastructure and poverty significantly increases the occurrence rate of obstetric fistula. 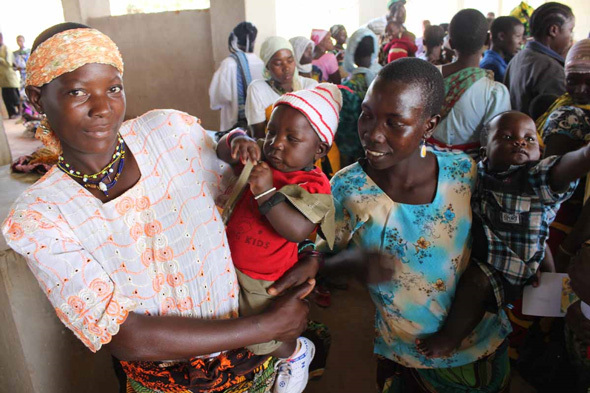 Lewis Wall, in an article for The Lancet, writes that “poverty is the breeding-ground where obstetric fistulas thrive.” Wall cites early marriage, low social status of women, malnutrition, inadequately developed social and economic infrastructures, and lack of access to emergency obstetric services as being major contributors of fistulas in developing countries. Additionally, “postponing the age of marriage and delaying childbirth can significantly reduce the risk of subjecting young women to the arduous labor that induces fistulas,” wrote Sonny Inbaraj of Inter Press Service News Agency (IPS) in an article about how fistula makes social outcasts of child brides. In most developing societies where child marriage is common, the social standing of women is defined largely in terms of marriage and childbearing. Child marriages are typically arranged without the knowledge or consent of the girls involved. The norms emphasize a girl’s domestic roles and de-emphasize investments such as education. There is an undeniable link between fistula and social stigmatization. Rather than receiving assistance from their families and communities, women are often ostracized and in many instances exiled from their communities. This is especially true in developing countries where “the role of women is merely limited to providing sexual satisfaction for their husbands, [and] producing children,” said Dr. Catherine Hamlin, founder of the Addis Ababa Fistula Hospital, in an interview with IPS. “Many women and girls with fistula endure lives of shame, misery, violence, and poverty,” said Agnes Odhiambo, Africa women’s rights researcher and author of ‘I Am Not Dead, But I Am Not Living‘: Barriers to Fistula Prevention and Treatment in Kenya, in a Human Rights Watch article. Human Rights Watch has focused on fistula, recognizing that birth is a human rights issue. Ignoring the issues of women and girls only diminishes progress on human rights and sends a message that says the rights of women do not deserve adequate attention. Thus far the fight to end fistula has attracted various government agencies and organizations including USAID, UNFPA, EngenderHealth, Maternal Health Task Force, and the Human Rights Watch. Outstanding individuals have also played a key role in fistula prevention efforts, like Drs. Reginald and Catherine Hamlin, Australian gynecologists who came to Addis Ababa in 1959 for temporary medical work, but after hearing heart-breaking stories from fistula patients, they decided to move to Ethiopia permanently and open the Addis Ababa Fistula Hospital. As the only hospital dedicated exclusively to women with obstetric fistula, the hospital provides care free of change, and has done so since 1974. Although fistula has gotten some support and attention, the need to scale-up the prevention initiatives has never been greater. As a result of the “poverty and the stigma associated with their condition, most women living with fistulas remain invisible to policy makers both in their own countries and abroad,” wrote Inbaraj on IPS. “Preventing fistula and restoring women’s health and dignity requires more than good policies on paper,” said Odhiambo at Human Rights Watch. Seriously tackling the issue will require much more than traditional medical and public health interventions – prevention efforts must also take into account underlying social issues, food and economic security. Sources: The Addis Ababa Fistula Hospital, Campaign to End Fistula, The Center for Global Development, The Fistula Foundation, Human Rights Watch, The Lancet, World Health Organization. Photo Credit: “Hauwa’u, 25, mother from Rogogo community,” courtesy of flicker user DFID-UK Department for International Development. However, these changes happen independently. “Whether there is going to be conflict or not depends in a large part to what kind of institutions there are to help mitigate for the impacts of that change,” explained Wolf. Wolf stressed the importance of understanding hydrologic variability in relation to existing treaties around the world. After carefully examining hundreds of treaties, he and his colleagues created a way of measuring their variability to try to find potential hotspots. “We know how variable basins are around the world; we know how well treaties can deal with variability. You put them together and you have some areas of concern: You may want to look a little closely to see what is happening as people try to mitigate these impacts,” said Wolf. “We know that one of the overwhelming impacts of climate change is that the world is going to get more variable: Highs are going to be higher, and lows are going to be lower,” Wolf said. Wolf used the Himalayan basins to illustrate the importance of overseeing the potential effects of climate change and institutional capacity. “There are a billion and half people who rely on the waters that originate in the Himalayas,” he pointed out. Because of climate change, the Himalayas may experience tremendous flooding, and conversely, extreme drought. Unfortunately, Wolf said, “the Himalayan basins…do not have any treaty coverage to deal with that variability.” Without treaties, it is difficult for countries to cooperate and setup a framework for mitigating the variability that might arise. “Although there have been improvements in the recent past, the status of maternal health care has not met the required international standards,” said Professor at the University of Nairobi Geoffrey Mumia Osaaji during a live video-conference from Nairobi on July 12. Osaaji was joined by panelists Lawrence Ikamari, director of Population Studies and Research Institute (PSRI), and Catherine Kyobutungi, director of Health Systems and Challenges at the African Population and Research Center to discuss new maternal health research in Kenya. Panelists also shared recommendations for moving the maternal health agenda forward that came out of discussions during the two-day, in-country workshop with Kenyan policymakers, community health workers, program managers, media, and donors. Following the panelists’ presentations, Dr. Nahed Mattta, senior maternal and newborn health advisor at U.S. Agency for International Development (USAID) and John Townsend, vice-president of reproductive health program for Population Council provided reflecting remarks from the Woodrow Wilson Center during the live webcast. “Maternal mortality in rural Kenya is still very high,” said Ikamari. “Rural women in Kenya need to have increased access to maternal health services.” Ikamari discussed a number of factors that contribute to high rates of maternal mortality in rural Kenya, including lack of access to quality care and skilled birth attendants, the high burden of HIV/AIDS, and an unmet need for family planning. Though nearly 90 percent of women in rural Kenya seek antenatal care, according to the UNFPA, many wait until the second or third trimester, limiting the benefits. Additionally, a majority of women in rural Kenya give birth outside of health facilities, oftentimes without the care of a skilled birth attendant, said Ikamari. In a recent survey, many rural women indicated that transportation to often distant health facilities prevented them from seeking adequate maternal health care, he added. Additionally, “the burden of HIV is really felt in rural Kenya,” said Ikamari. Survey results show that HIV/AIDS prevalence is about seven percent in rural Kenya and because the majority of the Kenyan population lives in rural areas, this adds yet another layer of complications. “Family planning saves lives,” said Ikamari, stressing the importance of contraception on maternal health outcomes. Only 35 to 40 percent of currently married Kenyan women use family planning, according to the last demographic and health surveys, and unmet need remains particularly high in rural areas. Promoting institutional delivery systems, improving antenatal and postnatal care, and finding other ways to increase access to family planning can help to improve maternal health outcomes and reduce preventable deaths in rural Kenya, concluded Ikamari. “Teenage pregnancy is a failure of family planning,” said Kyobutungi. Studies indicate that there are three times more teenagers that are pregnant among the urban poor, compared to the urban rich. Moving forward, there is a need to promote effective integration and improvement of health worker training and monitoring but also development of performance-based incentives to ensure successful programs are properly funded. “It’s not all gloom and doom in urban areas,” concluded Kyobutungi. “By year 2025 there will be 25 percent more people [in Kenya],” said Townsend. “What that means is, when we are planning…we have to think about the scale of solutions that we are proposing in 2025 and 2050.” Therefore, it is essential to acquire new models of data and evidence to better predict future population growth and maternal needs, he suggested. In addition to expanding services to meet the needs of a growing population, the panelists in Washington emphasized the need to support integration at all levels. Trends are moving in the right direction: Within the Obama administration’s Global Health Initiative, “there is a strong push and recommendation for integration among the health sectors,” said Matta. But integration is not a magic bullet to improve maternal health, warned the panelists. “Integration is a terrific issue, but when the health sectors are weak, putting more burden on a local community health worker does not usually make sense; we have to think about smart integration,” said Townsend. Focusing on Kenya’s health sector from all aspects, both at the private and public level, and improving family planning, institutional delivery care, as well as antennal care will help Kenya overcome its maternal health barriers. Additionally, thinking of ways to utilize new models of data and integrating the various sectors will yield substantial benefits, concluded Matta and Townsend. 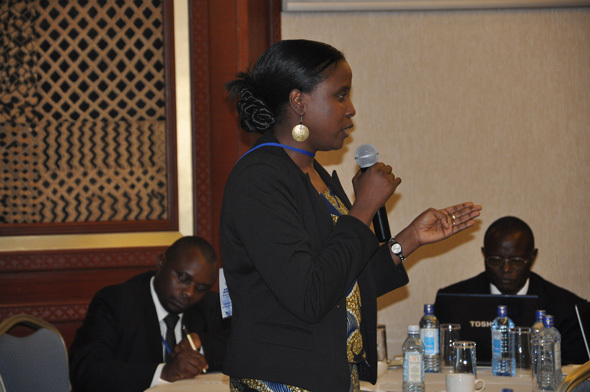 Following the technical meeting, a public dialogue was held on July 13 in Nairobi to share the recommendations and knowledge gaps identified with members of Kenya’s Parliament, including Hon. Sofia Abdi, parliamentary health committee member; Hon. Ekwee Ethuro, chair of the parliamentary network for population and development; and Hon. Jackson Kiptanui. They joined a group of more than 50 maternal health experts, program managers, members of the media, and donors – such as the UK Department for International Development (DFID) – to identify real solutions and action points for improving maternal health in Kenya. The formal report from the in-country technical meeting will be available in the near future. See also the Maternal Health Task Force’s coverage of the event, here and here. Sources: Kenya National Bureau of Statistics, UNFPA.